Postgraduate students are invited to join us for the screening and discussion of the film ‘Concerning Violence’ in Old Whiteknight’s house, room G09, 5-7pm. 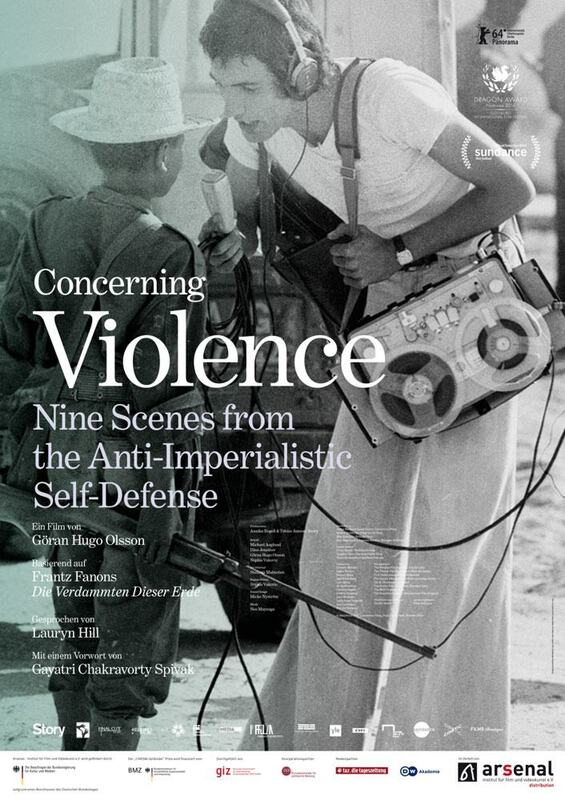 ‘Concerning Violence’ is a ground-breaking documentary by Goran Olsson which is based on Frantz Fanon’s essay ‘De la violence’ (On Violence) in his work Les Damnés de la terre (The Wretched of The Earth). The film has won many awards at film festivals across the globe. The event is organised by Carl Gibson from the Politics department at Reading University with the support of Maria Tomlinson and other PhD students. Maria will be one of the members of the panel who will discuss the film, the works of Frantz Fanon, and the role of violence in the modern world. As co-organiser of the Gender and Sexuality Research Network and a PhD student incorporating feminist theory into her project, Maria hopes to bring a critical feminist perspective on the work of Frantz Fanon. She will be questioning Fanon’s representation of women and also more generally women’s involvement in violent combat and other feminist modes of resistance. If you are interested in attending please email Carl Gibson at c.gibson@pgr.reading.ac.uk or Maria Tomlinson (see contacts page) by 18th March.